2014 is looking to be an exciting year for my Littoral project, building on last year’s research on the beaches around Ullapool. I will soon be setting up an interactive installation for the Edinburgh TED talks on the 21st February. Conference goers will be invited to engage with beach litter objects and leave suggestions of how to address the issue in my ever increasing collection of plastic bottles. Their messages will be shared on line. 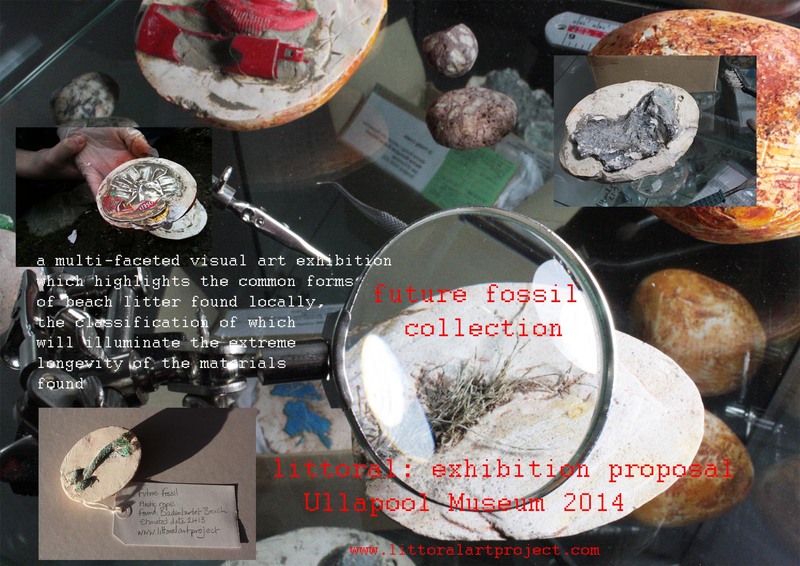 In spring I intend to begin cleaning and cataloguing the ‘litter fossils’ found on beaches in Ross-shire with residents and pupils last autumn to create a Future Fossil Collection for display in the Ullapool Museum and to other finds and works around the town. 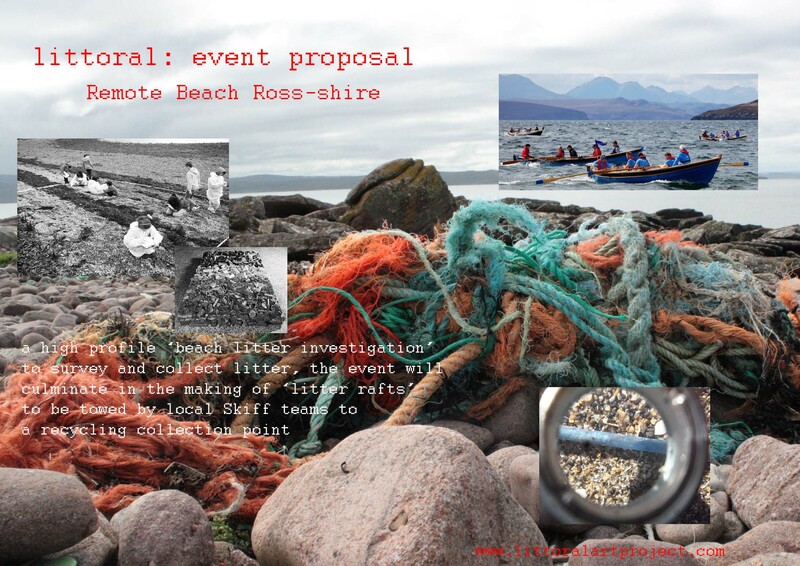 After the survey and mapping the collected litter will be turned into sculptural ‘litter rafts’ to be towed by skiffs and sailing crafts to the nearest landing point, and collected by Highland Council Recycling Team. I will follow the recycling outcomes of the materials collected and post the outcomes. Needless to say this is going to take lots of organisation, volunteers and of course some funding. So please keep following the blog for news and ways to help. Happy New Year ! 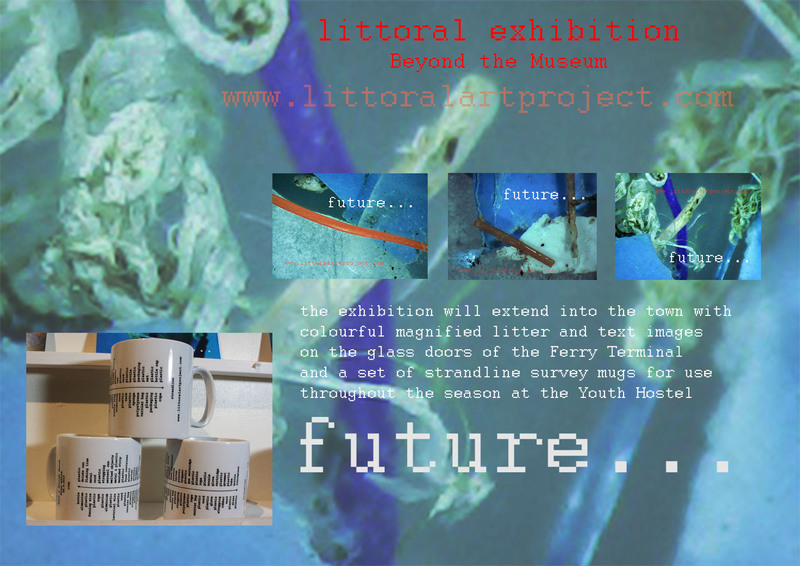 How good that you will be able to bring your work to the attention of the people attending the TED talks in Edinburgh; certainly an audience of movers and shakers but more than that thinkers who may well be able to put you in touch with further contacts to aid the next beach ‘adventure’.